In the current culinary field, Japanese dietary is globally expanding while the risks of adult diseases and malnutrition are drastically rising. 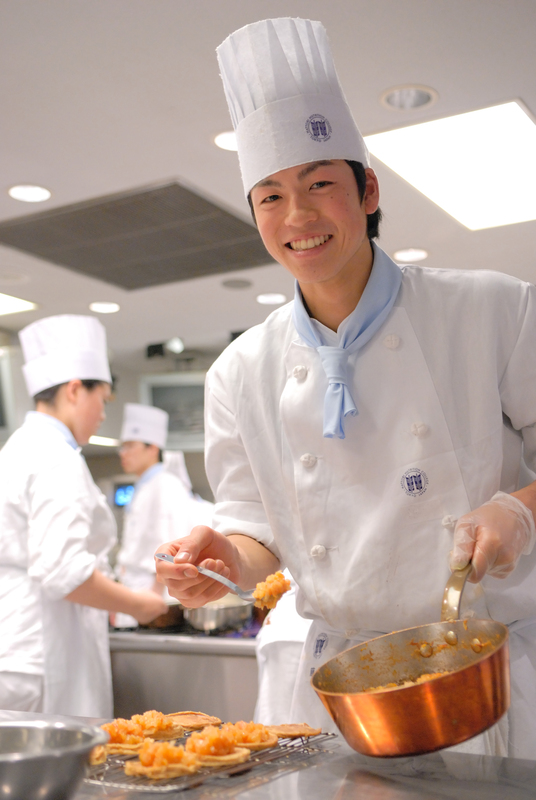 Hattori Nutrition College does not just teach you how to cook, but offers ”SHOKUIKU – dietary education,” teaching students about food itself as well as its history and eating manners. How would you like to become a professional in the culinary world?